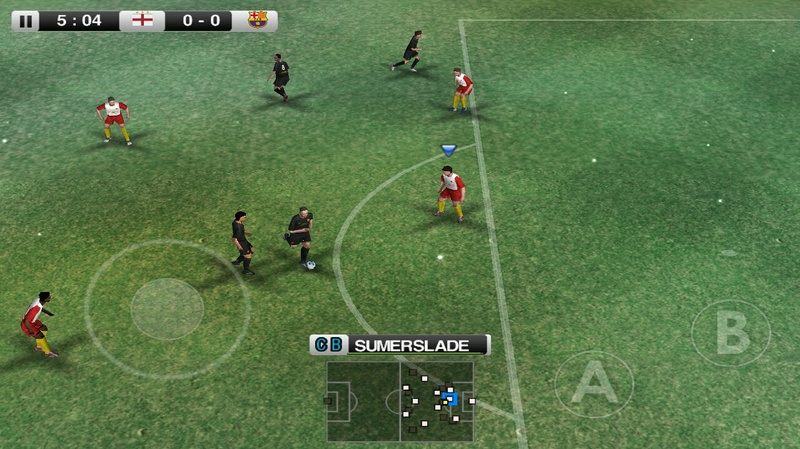 Live the Winning Eleven 2012 experience with your friends in the most connected edition of the best football game on smartphones! With two brand new games modes, full social networks integration, asynchronous and live multiplayer over wifi and Bluetooth: you will never play alone again. With added crowd jeers and cheers, retina support, all new stadium, official UEFA Champions league and Europa League, Liga BBVA, Ligue 1 and much, much more! With a flurry of content such as classic national teams, 24 different balls, 6 varied environmental combinations such as rain and snow, exhibition mode and 3 different controls configurations: tinkering the perfect setup will never have been so fun. Buy once and play on any of your Android devices, the game automatically scales to accommodate even your older device. Two special modes dedicated for these moments when you just have a few minutes to kill, in Quick Play youll be kicking in less than a minute, and in the brand new Free Kick Challenge youll be able to surpass your shooting skills with effects and touchscreen accuracy! Official Licensed Product of UEFA CHAMPIONS LEAGUE. Official Licensed Product of UEFA EUROPA LEAGUE. after intalllation , its black… no sound no picture. what am i doing wrong?